The Episcopal Diocese of Kansas has a rich tradition and commitment to campus ministry since the late 1940’s. The diocese has long recognized the need for a safe and supportive environment, with sound theological underpinnings, for college students to explore and deepen in their spiritual formation during this crucial time of discovery and growth as they mature into full adults. In campus ministry’s early years the focus was primarily at Kansas State University, the University of Kansas, and Wichita State University with chaplains based at each location. This commitment has taken various forms over the decades, but at the core has always been deepening one’s own faith, service to others, and valuing the community’s worth over the individual. In 2005 the diocese’s approach to campus ministry moved into a model that sought to reach students across the entire diocese, at both two-year and four-year institutions, creating an opportunity for college students to take a more active and engaged role as Peer Ministers. Guided by our mission statement, “With God’s help, we aspire to anchor college students across the Episcopal Diocese of Kansas in a life of faith as shown to us through the life of Jesus Christ, where their spirituality is deepened and shared, as they seek to contribute to God’s dream of a reconciled world, both now and in the years to come,” this new approach to campus ministry has grown and evolved. 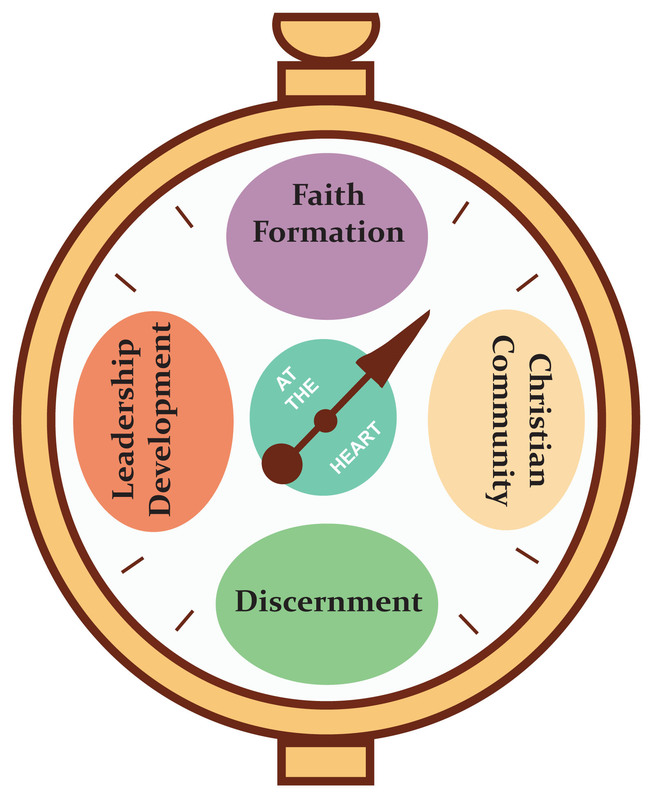 With this evolution, a natural focus on the following four areas of ministry development – Faith Formation, Christian Community, Discernment, and Leadership Development – has emerged as being the anchor for the peer ministers’ spiritual development and training as they seek to serve their fellow students. This development and training takes place within bi-annual retreats, weekly program gatherings, and regular conversations with their parish mentors and missioner. Faith Formation ­– In furthering their own personal faith and development through education in biblical understanding, the theology and structure of the Episcopal Church, service to others, and other areas of spiritual growth and development as Christian leaders, Peer Ministers become grounded and can better offer the love of God in Christ to those they meet. Christian Community – Peer Ministers develop and experience Christian community- both among their peers and at a church as they take on leadership roles in worship, offering hospitality to all who enter their doors, and praying for each other routinely. Leadership Development – Peer Ministers are equipped and sent out to share the story of God’s love through a variety of opportunities to develop their leadership skills: learning from and discussing a variety of topics with guest speakers and mentors, multiple opportunities to apply life skills learned, the expectation – undergirded by prayerful support – to articulate their evolving faith on campus, telling peers about their communities of faith and inviting them to participate.